Your CaterSafe representative for South Australia is Liz who will assist you with your enquiry. Please phone 0408 129 341 or use the form below. We look forward to providing your pathway to safe food. Liz always strives for high standards in everything she does, her life moto is to give her best and to be her best – not only in work, but in everyday day-to day life. 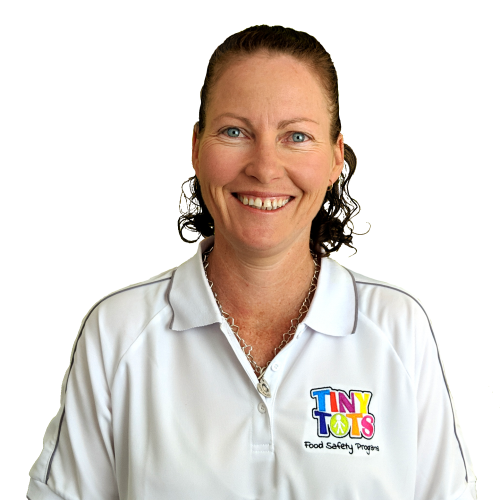 With this passion, dedication and care for young children (Liz being a mother herself,) became a Tiny Tots Representative to further develop Food Safety for those in early learning, so they too can maintain the highest standards when it comes to food safety. Do I Require a Food Licence & Documented / Audited Food Safety Program for My Child Care Centre? CaterSafe acknowledges the traditional custodians of the land and pays respect to the Elders past, present and future, representing the traditional Aboriginal land across Australia. Disclaimer: CaterSafe has undertaken to deliver the highest level of quality, accuracy and compliance with food safety laws current at the time of publishing, but cannot guarantee 100% compliance with all laws in all circumstances. CaterSafe cannot be held liable or responsible in any way where it’s programs, material or advice is not complied with.